Every day, the amount of data created across the world is exploding to new levels. Enterprise and cloud service providers thrive on this data to make critical decisions, gain new insights from the data, and to differentiate their services, but today’s current storage technologies leave a technology gap in data storage tiers. DRAM is far too expensive to scale and while NAND has the capacity and cost structure to scale. It lacks sufficient performance to function in the memory space. 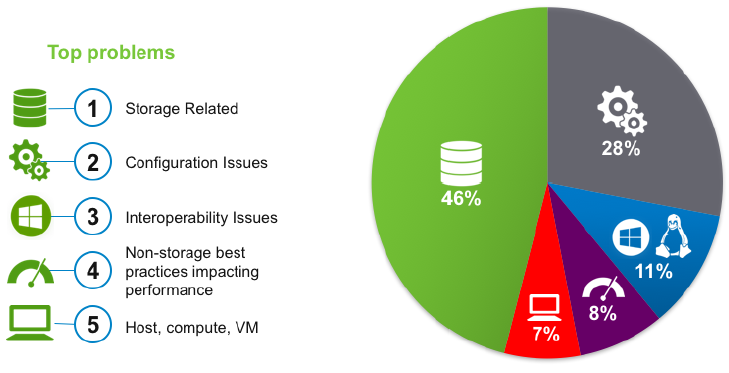 To address the gap, a storage solution that behaves like system memory are needed. Slove storage and memory challenges with Intel Optane. The Intel Optane SSD DC P4800X is the first product to combine the attributes of both memory and storage. With an industry-leading combination of high throughput, low latency, high QoS and ultra-high endurance. This innovative solution are optimized to break through data access bottlenecks by providing a new data storage tier. The DC P4800X accelerates applications for fast caching and fast storage to increase scale per server and reduce transaction costs for latency sensitive workloads. In addition, the DC P4800X enables servers and data centers to deploy bigger and more affordable datasets to gain new insights from large memory pools. Realize breakthrough application performance with the DC P4800X. Designed to deliver 5-8x faster performance at low queue depth workloads. Exhibiting extremely high throughput for single accesses and super low latency. Where NAND-based SSDs remain measured at a queue depth of 32 (SATA) or 128 (NVMe) in order to showcase maximum throughput, the DC P4800X can reach as much as 500,000 IOPS, or ~2GB/s, at a queue depth of 11. This new technology is perfectly suited to accelerate enterprise applications to new, breakthrough levels of performance. With a new data storage tier created by Intel Optane technology. Servers can consistently realize amazing response times under any workload. With NAND-based SSDs, random write operations require an immense amount of background media management. These tasks can add significant delay to the read operations. The Intel Optane SSD DC P4800X maintains consistent read response times regardless of the write throughput applied to the drive. In an environment of fast growing data and ever demanding needs, servers and data centers must deploy solutions that enable predictably fast service. The DC P4800X is ideal for critical applications with demanding latency requirements. Its 99% read response time is 60x that of a high-endurance NAND SSD under random write workload. Optimized to minimize delays in data access times, the DC P4800X results in faster time to insight for decision making. Endurance affects the life expectancy and costs of enterprise SSDs. DC P4800X are designed for high write environments, and can withstand intense write traffic that is typically demanded of memory. DC P4800X have extremely high endurance, the life of the server, workstation and DC P4800X is extended. Making it suitable for write-intensive applications such as online transaction processing, high performance computing, write caching and logging. Independent servers and Data center servers can explore two key use cases for the P4800X: fast storage or cache, or extended memory. The extended memory use case allows an Intel Optane SSD to participate in a shared memory pool with DRAM at either the OS or application level enabling bigger memory or more affordable memory. Bigger memory dramatically increases the size of “working sets” to enable new insights from data in growing segments such as scientific computing, healthcare, and autonomous driving. More affordable memory means data centers can use Intel Optane SSDs to displace some DRAM. Intel Optane technology are a unique combination of 3D XPoint memory media with Intel’s advanced system memory controller, interface hardware, and software IP. Revolutionary technology are offered in several form factors to unleash vast system performance in a range of products. 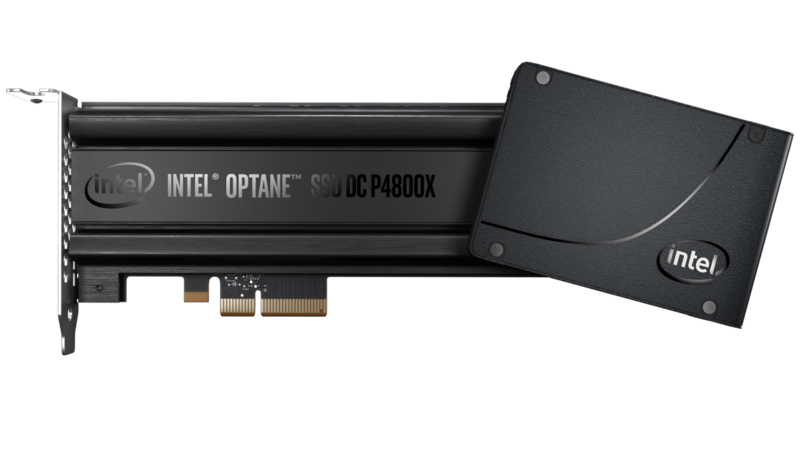 In the Intel Optane SSD DC P4800X, the revolutionary Intel Optane technology delivers the unparalleled combination of high throughput, low latency, high QoS, and ultra-high endurance. In today’s IT climate everything can be monitored – do we have to be aware of everything? What really matters is getting relevant data and using this information to your best advantage. Monitoring critical IT devices in your business will give you a lot of valuable data about your network. Filtering and applying this data correctly will save your organization time, money and worry. The value in theses savings can be enormous. Investing early in the right monitoring solutions and filtering will help your organization obtain, and keep, a competitive edge. The value of monitoring is in the relevant data that can be analyzed and put to a purpose. For modern companies, a smoothly running IT infrastructure is an essential and critical business requirement. Operational problems that are not caught early enough create business emergencies that most businesses can not afford. When the network goes down, email goes down, or perhaps customers can’t purchase products in the web store. Even a web page that takes too much time to load can cost you customers. 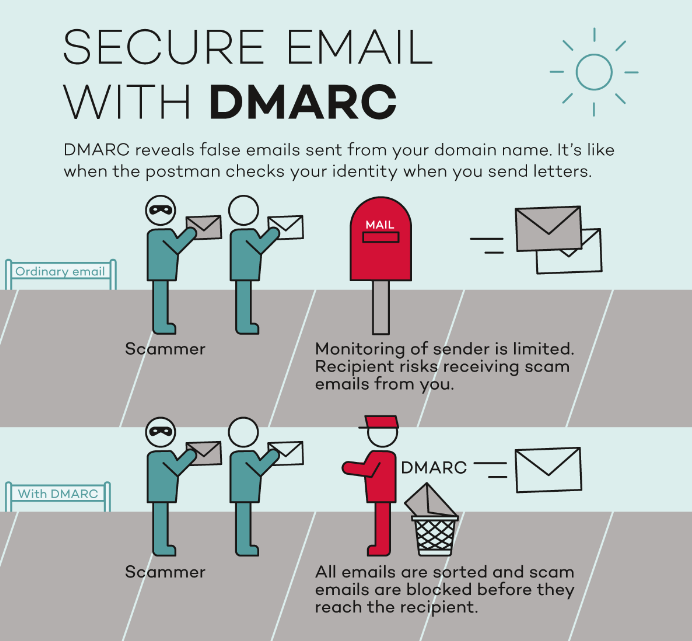 Without properly working servers and firewalls, security risks are too big and all these problems directly affect your daily work. Properly monitoring your network infrastructure will enable you to use this data to both prevent business emergencies from happening. Monitoring correctly mitigates the impact of those that cannot be prevented. 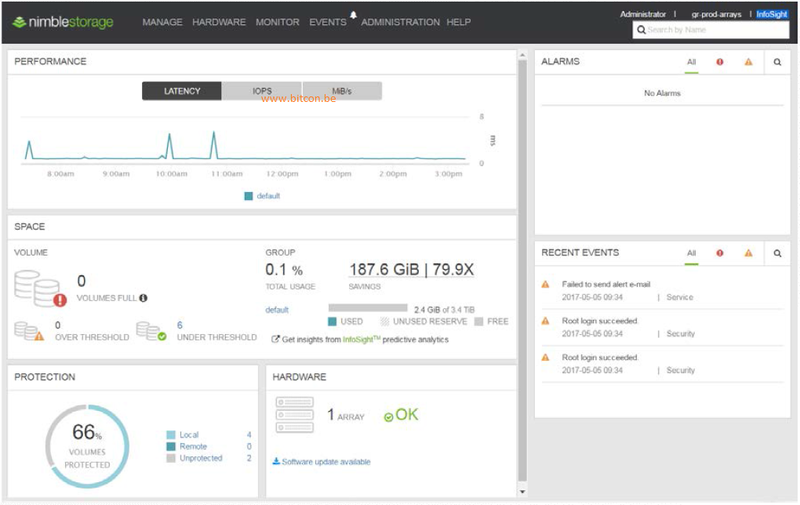 In this blog we’ll show you how we monitor IT infrastructure to keep the network healthy and up and running. With current tools we are able to monitor everything in your infrastructure including LANs, WANs, server, websites, applications, and more; we can monitor more than ever before. Monitoring was first introduced as technology to monitor physical IT devices, to tell you that the device was online. Now, main features include performance monitoring which gives a high-level snapshot of the overall health of each device. Important devices in your network that remain monitored can include firewalls, switches, servers, disk drives and storage units and wireless AP’s. This information is plotted in easy to read graphs which are used to provide baseline performance and operational trends. This helps to identify and avoid problems, typically low memory, low disk space, bandwidth congestion or excess CPU usage conditions. The purpose of monitoring all these sensors on different devices is to ensure that the infrastructure has no critical issues, fits the business needs and is suited for the future development of the customer business. For example, when your backup servers are low on disk space you can decide to buy more space in a timely manner and if you know how fast space fills up you can decide how much more space you need. When one of your older devices keep maxing out CPU load for long periods of time, that is a sign that you should probably investigate perform both software upgrades and hardware upgrades before there are significant failures, leaving you with an unfortunate – and preventable – emergency situation. Bandwidth monitoring will show Internet bandwidth utilized at any given time; what applications are using most of your connection? Perhaps there happens to be a user who is using up all the bandwidth while downloading videos. Knowing how much bandwidth you use will let you plan for network expansion, at the same time, you might be paying for a lot of bandwidth that you really don’t need. Infrequent traffic spike occurrences remain expected. Generally, it is a good idea to do backups overnight in which case your internet traffic might peak to 90% – but if this is a regular occurrence during business hours this is a predictive indicator that the internet service is undersized for the requirements of your business. Websites are getting more and more comprehensive and as a result they are becoming slower. At the same time customers are becoming more and more impatient. Just a one second of delay in loading times leads to lower conversation rates (contacts or purchases), poorer rankings in search engines like Google, and it all leads to lower sales. Lanworks can monitor the loading time of your website and the time it takes to have a successful login or purchase in the shopping cart. We can use the data to determine if your website is up to today’s standards and also test how your website will react to sudden spikes in traffic. Monitoring environments remain built such that management continuously receives reports from the IT department which show events and current problems in your operational environment. All these alarms will likely fill up their inbox and soon they won’t pay attention to the alarms anymore. Lanworks monitoring service can leveraged to prioritize short-term actions and actual impact to the overall business process if one of the IT services fails. Reducing the information overload being sent to your manager, and it works because not all alarms need instant attention. For example; networks in general operate with a substantial margin of safety. 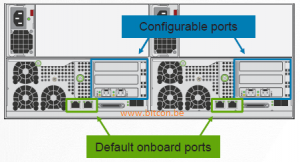 When a load balancer fans out traffic to 5 switches each operating at 60% of its rated capacity, failure of 1 switch would result in each of the remaining switches going to 75% of its rated capacity. In this case of 1 failing switch business processes like emails or online shop orders will still work. And therefore its not always necessary to have alarm messages go directly to the management team. At Lanworks we take care of all notifications and contact you with solutions when there is an issue that needs your attention. We use our monitoring data to show you why some devices might need immediate attention. Part of our Monitoring Services at Lanworks are the customer-specific monthly reports that we prepare and send to you. After all, its is most important that we address bottlenecks before they cause problems. Our Monitoring Services comes in easy to read graphs in the monthly reports. Our intent to provide a high-level snapshot of the overall health of each device over the monitoring period. These Graphs can be used to provide baseline performance and operational trends – and to proactively identify and avoid problems. 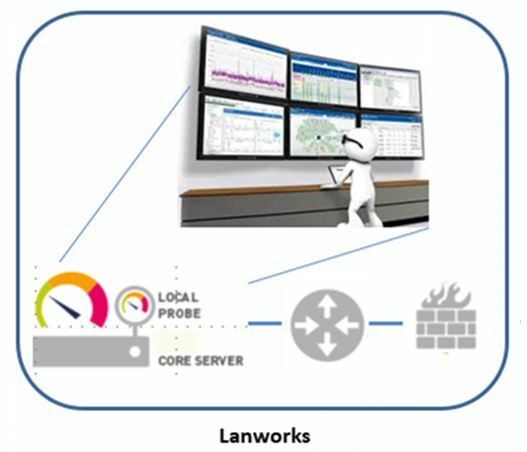 In conclusion; Lanworks’ Monitoring Solutions under our managed services support program is here for you so you can solely concentrate on your business.